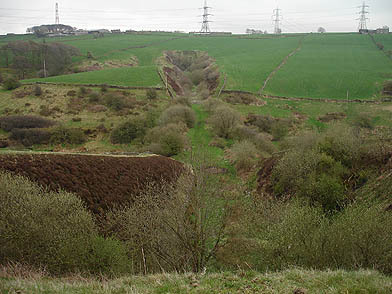 Pic 1: Looking towards Well Heads north portal from the top of the cutting above Hammer's Hill. 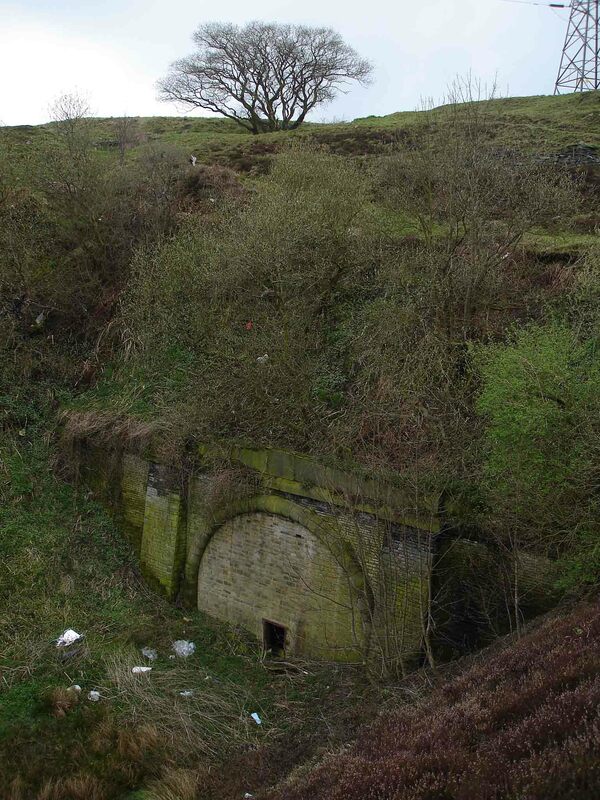 Pic 2: Hammer's Hill south portal. 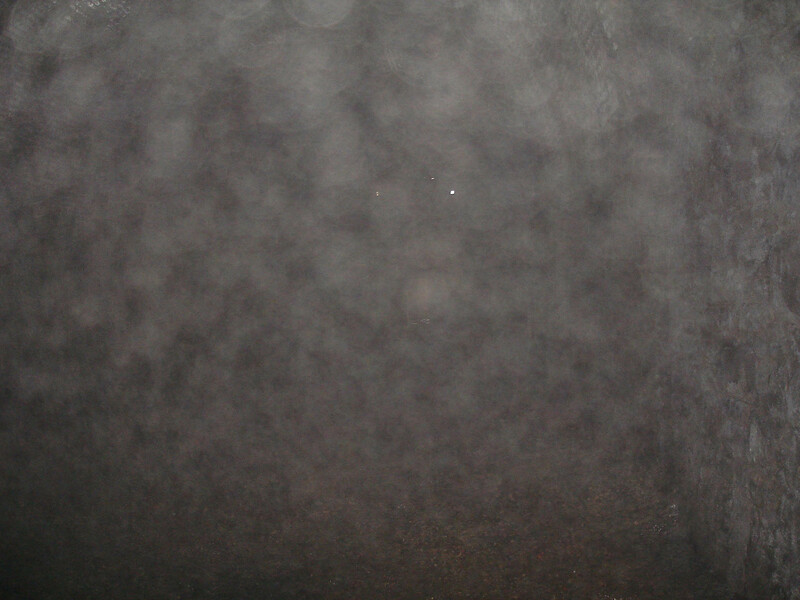 Pic 3: All I have from inside Hammer's Hill. 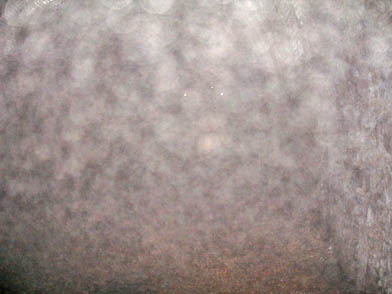 It was very misty inside! The map below shows my understanding of the tunnels between Queensbury and Keighley stations on the GN. 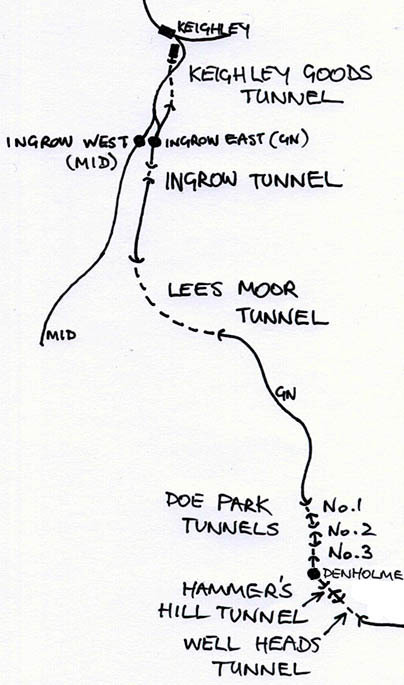 There are quite a few versions of which tunnel is which and several 'aka' names. 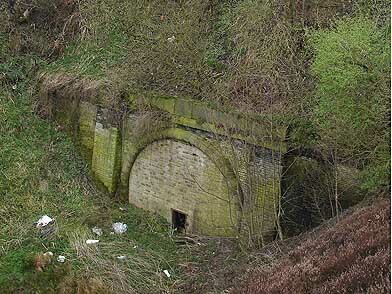 The main confusion is the so-called 'Denholme' tunnel which is actually an aka for Hammer's Hill but is variously ascribed to Hammer's Hill, Doe Park No.1 and Doe Park No.2.